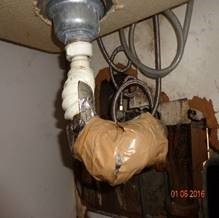 For plumbing repairs, please leave it to the professionals. Poorly done, temporary fixes are just accidents waiting to happen. Leaks can result in major damage and expense.